Yesterday TJHN published and article on the CH1L and CHL (CH1L Conversation with Duane Lewis) with some quotes from CHL Commissioner Duane Lewis. I published some of the comments contained in those emails, and today will follow up with opinion based upon the context of those emails, and my experience within the industry. Today we will examine the CH1L idea, and the potential effects the rumor of its development could have on Junior and Minor Pro Hockey. Mr. Lewis throughout our email exchange, did not at any time say that the launch of a junior league was certain, nor did he say that any announcments were planned for the near future. That said, he did not deny that a junior league is being seriously considered for development in addition to the professional league. I believe that some type of junior league is being investigated. I would also believe that current, former and future CHL partners are interested in the potential for moderate cost savings that are being touted as the big benefit for such a league. Since it appears that recent moves of some teams from the CHL to the NAHL Tier II are experiencing profits and doing quite well, owners clearly would like to examine some form of profitability. The savingas at a Tier I level compared to a pro level are minimal at best. Sure you can immediately eliminate player salary and some insurance costs. By eliminating those costs though, you will also eliminate sponsor value as they will not see the junior product as the same value of a pro product. Ticket revenue will also not be the same as pro ticket revenue. Fan support in volume will not be the same, and the value of a ticket will not be the same. Revenues will drop in nearly equal amounts as costs. The rumored CH1L is purportedly being organized as a Tier I type junior league. 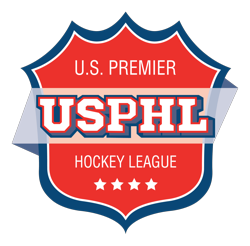 The USHL is the only Tier I junior league in the United States and achieving that status comes with many expectations from every organization within the league, as well as maintaining standards set and voted on by USA Hockey and the Junior Council. The consumer, whether under AAU or USA Hockey will expect Tier I standards no matter what. Tier I standards require much from the owner. Sure an AAU league could make their own standards, but that wont sell to players who would expect a USHL experience. These standards require more staffing, and better amenities. Acquiring people with experience to provide this environment will cost more than what a typical AA pro office spends. The CH1L is allegedly being organized under the Amateur Athletic Union banner. AAU has made some significant inroads in Tier III hockey over the last two years. The WSHL is well organized and professionally operated. New AAU league additions this year are the MWJHL, TEHL, and the NSHL. That said, Tier III is definitely not Tier I. Although the league would be operated under AAU, the players, parents and hockey community would expect nothing less than the Tier I standards established by USA Hockey to be the benchmark for any Tier I team or league. Anything lower than those standards will not pass the initial smell test of the players they would attempt to recruit. Under AAU rules, teams are allowed eight non American born players. This is four more than the USHL is allowed through its pilot program, and six more than allowed in the North American Hockey League or USAH Tier III leagues. Many people have said that the import rules alone will allow the potential league to have a high level of play immediately. I do not believe that to be the case, and believe that anyone making such assertions does not understand the current player market. Canadians have the OHL, WHL and QMJHL as their pinnacle of junior hockey. The top players want to go to those leagues, they always have, and they always will. It is cultural, historical, and ingrained in players as the leagues of choice from the first days they put on skates. Top level players will not leave these leagues and if your a top level player in these leagues more often than not you end up in the NHL. Top level US born players have the USHL. It is the league of choice for those wanting to play NCAA D-1 hockey, and they do a great job of developing those players as well as developing players that go to the NHL. Along with the USHL, the NAHL is developing NCAA players and NHL players. The only costs to play in the NAHL are housing costs. They are established, and getting better every year at developing and promoting players. That said, the NAHL should pat attention to this potential league. The elimination of billett fee’s will caus some players to make the move when the USHL may not be an opton for them. European players, have their own very good development systems. Some of the top level Europeans go to Canada in the Import Draft, and a few go to the USHL. They are not leaving their home countries in droves even for the most established high end junior programming available in the world. They are scouted by the NHL all the time, and they dont have to leave the comforts of home. They can move from junior to pro all within the same organizations structure while waiting for their NHL contracts. Why then would anyone assume that players would come in droves to a CH1L? The concept does not make sense as a traditional Tier I league after the other important factors are examined. This said, a junior league that focusses on pro development, more similar to Major Junior Hockey might have some potential to work. Similar to Major Junior, but dramatically different than Major Junior in one respect, and different than the USHL, yet filling a niche that could have wild success in a few short years. Major Junior Hockey in Canada limits the amount of 20 yr old players per team, same in the USHL. Year after year, players with high levels of experience are cut because of these "over age" player restrictions. If a proposed CH1L were to be designed as a league that did not accept any players until they graduated high school. A league of 18, 19 and 20 year old players, and they might have a very good niche to build a high end junior league upon. 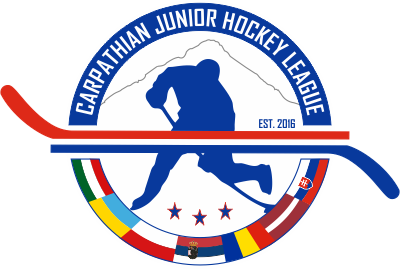 When you combine USA Hockey import restrictions and over age rules from these leagues, you have a talented player pool to recruit from. By not allowing the younger players that the other leagues are going after, you dont force recruiting competition that like could not be over come. This also may attract some of the second tier talent from Europe that goes undrafted in the Canadian Import and NHL drafts. The choice then would be to provide a stipend for living like Major Junior does or not. In order to keep the NCAA doors open for players a stipend does not make sense. The NCAA is not going to change the rule for one league while not allowing Major Junior players an option to play NCAA hockey. In essence the CH1L could develop NCAA players and Central Hockey League players at the same time. That would be a winning combination for a league like this. It could also be a combination that fosters co operations with the other leagues rather than stimulating unwanted additional competition. The CHL could also use this type of league to develop professional hockey markets. By developing a fan base first, they could in theory then add or replace junior programs with pro programs gradually. This could help rebuild the CHL as a professional league. Training staff, owners and coaches through a development system could bring great rewards long term. As a professional league the CHL has had its challenges. The cost of operating professional teams at the AA level is very high. Typical team killers are salarys and workmans comp insurance. Equipment and travel costs often play a part as well. Unfortunately, with inflation, and arena rental costs escalating, the perfect storm can be found when mixing these elements together. The rumor of the CH1L has minor pro players very concerned. Since the information began ciculating CHL pro players have become very skeptical of the league. That skepticism should now be pushed aside as Mr. Lewis has made it very clear that there is no intention to abandon the pro game nor the development of pro players. Getting back to the basics for the CHL is important. Expansion in non traditional hockey markets, markets with transplanted northern states and canadian residents is what brought the league early success. Expansion into areas that do not have other hockey competition from the NHL, AHL or NCAA will lead to success. In writing the new CHL chapters, it is important to remember to do what you do best. Steady, unpaniced leadership from Duane Lewis should result in long term success. There are only a handful of people in the business that could withstand the CHL pressures as Lewis has, and that experience in this business will prove invaluable as the future unfolds.